Year 2 high schooler. 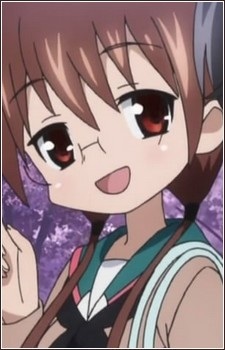 Nagi has brown hair and twin pigtails. She is short-sighted and wears glasses. She is usually the Tsukkomi (Straight man) of the other three's Boke (Fool), and is sensitive when it comes to weight and shape. Nagi is especially weak against cold weather, and would cover her whole body except the eyes, even when it was forecasted that it would be snowing. She has resolutions to go on diets to lose weight, but she hates exercising and has not been successful.